We Will Miss You Mrs. Muirbrook! Goodbye Mrs. Muirbrook! Thank you for the wonderful four years at Riverview! 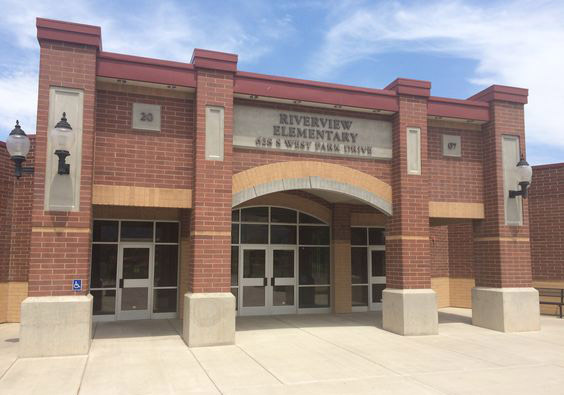 Riverview students and faculty said goodbye to our friends who will be leaving Riverview. We wish you the best in your new endeavors! The 2015-2016 student council received a principals award for their leadership and service during the school year. We are grateful for our student council and student council leaders. Thank you for your dedication! The Student Action Team received a principals award for their amazing examples to their fellow students throughout the school year. Congratulations! Riverview is proud to announce the students who were awarded for having the best attendance for the school year. The students were never late to school and were never absent. Congratulations on amazing attendance! Riverview is proud to announce May's Pirate of the Month for each class. Riverview students shared their talents at the annual Riverview talent show. Students sang, played the piano, played the drums, danced, and acted. Thank you for sharing your wonderful talents! Riverview third graders had a great time at Bridal Veil Falls as they identified living and nonliving things on their nature hike. The third graders went to the Bean Life Science Museum at Brigham Young University. They discussed how animals affect the life cycle of other animals and nature. Students even got to touch a live snake! Riverview is proud to announce April's Pirate of the Month for each class.